Oliver Sacks is one of my favourite science writers, for many reasons: the remarkable lives he reports, his insight and empathy in doing so, his unabashed honesty, his love for the creative arts. He also excels at conveying technical ideas and complicated phenomena in plain language without compromising their complexity. Sacks has a flair for the right word, the telling metaphor, the poetic flourish that impresses his stories’ truth. He doesn’t rely on jargon but will use it when appropriate. Though his breadth of vocabulary and command of registers are impressive, they never feel forced or flashy. This is someone whose love of words is obvious in their prose – you might think this would be automatic with authors, but it’s not. As a copy-editor I try to abide by the typographic oath: First, do no harm. When you’re making changes to a writer’s text, whatever you do, don’t introduce an error. But at the risk of undermining that solid principle, there is an occasional exception. The length and complexity of Ulysses, and the difficulties of its publication, mean that many subtly different versions of the text exist. The first legal edition in the US, which became its standard edition for decades, was based on a pirated copy, for example. Typographical errors arose inevitably from multiple sources; complicating things further is the fact that some ‘errors’ were deliberate but wrongly ‘corrected’ by printers or editors. And then there were all those rewrites and updates by the author while the thing was being serialised. And afterwards. 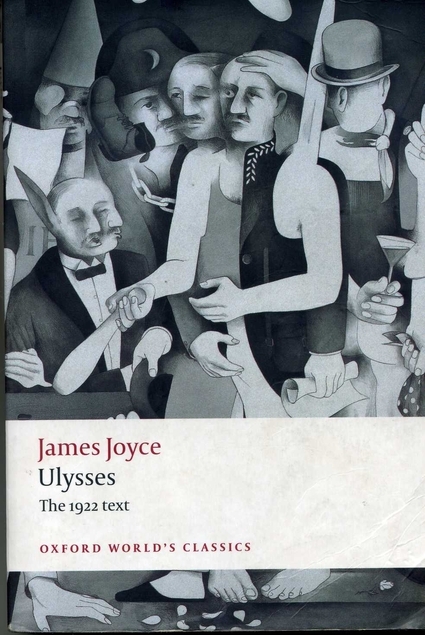 Brenda Maddox, in Nora, notes that Joyce wrote ‘as much as one third of the final text of Ulysses in the form of corrections or additions in the margins of the proof sheets’. So there is no ideal, ‘master’ text; in fact Joyce scholars fight over the best way to decide what this even means. 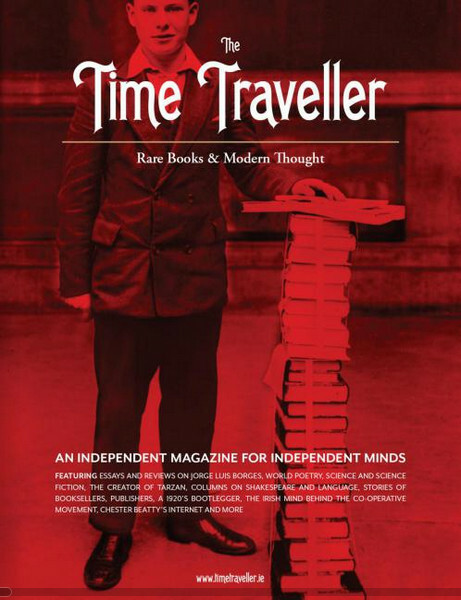 Among the projects I worked on this winter was to copyedit a new, independent Irish magazine called The Time Traveller. It comes from the bookstore of the same name, which has three outlets in the west of Ireland: Westport, County Mayo; Skibbereen, County Cork; and Cork city. There is no point in starting a shy publication that looks pretty and is full of words but has nothing to say. Would it be wise to pretend everything is fine when the whole world is on the run? This quarterly will try to shine a light on important and forgotten publications, political ideas that should have been implemented, philosophies that could have made a difference, authors who could have been honoured, voices that should have been heard. Some reviewers would say that it was badly written, but the trouble is, it isn’t really written at all. It is hurled together, without any apparent distinction between what might or might not interest the reader. . . . Bevis Hillier was simply not up to the task which he set himself. Hillier’s three-volume authorised work had taken him 25 years, and he was none too pleased to see it dismissed so. Years later he described Wilson as ‘despicable’. But harsh words were not enough: Hillier wanted retribution, and he got his chance when Wilson undertook to write his own biography of Betjeman. On a visit to Galway City Library last week I happened upon Robert Macfarlane’s book The Old Ways: A Journey on Foot (Hamish Hamilton, 2012), and promptly whisked it from the shelf. I had read Macfarlane’s The Wild Places a few months earlier and it’s already a highlight of my reading year. Macfarlane is an English academic and author who writes about nature, travel, landscape and literature and how one influences or nourishes the other. The Old Ways takes pathways as its primary motif: the tracks we find and make across land and sea and how they signify and affect our relationship to place. 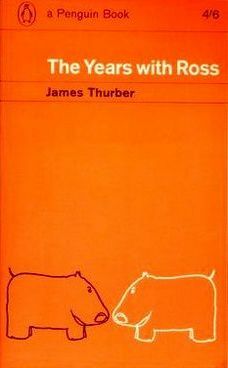 James Thurber’s book The Years with Ross (1959), which recounts the early years of the New Yorker under Harold Ross’s stewardship, has much to recommend it. Thurber fans are likely to have read it already but will not object to revisiting a short passage or two, while those yet to be acquainted may be encouraged to seek it out. The long newspaper experience of the two men, certain of their likes and dislikes, and their high and separate talents as editors formed basis enough for an evening of conversation. They were both great talkers and good listeners, and each wore his best evening vehemence, ornamented with confident conclusions, large generalizations, and dark-blue emphases. . . .
Books accompany me almost everywhere. Because you never know. On a walk or cycle I may decide to sit on a bench or rock or by a tree and pass an hour with the view, and while there in the fresh air might feel the urge to visit whatever portable parallel world I’ve packed. Or I might be in a slow queue and tired of looking around, so out comes a book and the wait dissolves. Some books are especially engrossing and greedily demand every moment even tenuously available. Though reading over a work-break cup of tea or while on the loo is normal enough, reading while walking to the kettle or bathroom might not be. (This, at any rate, is just an occasional indulgence.) 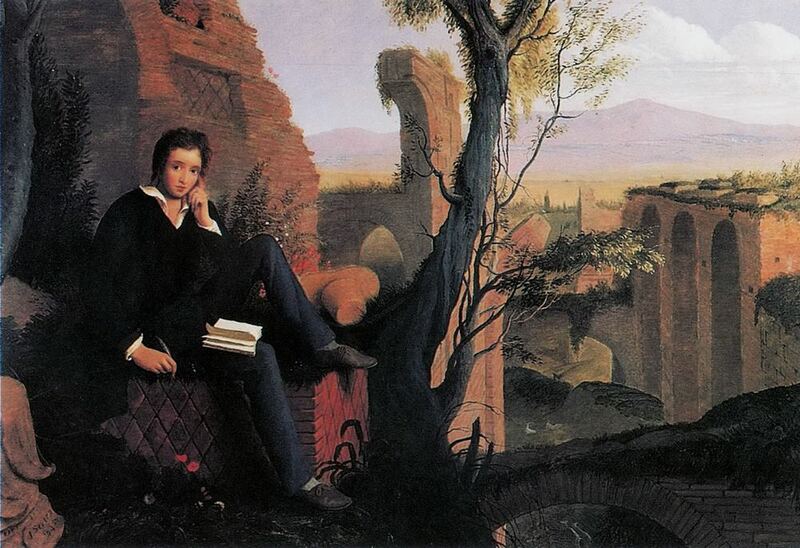 But I know I’m not as bad as Percy Bysshe Shelley – for one thing, I don’t forget to eat. Not habitually, anyway. Shelley . . . was always reading; at his meals a book lay by his side, on the table, open. Tea and toast were often neglected, his author seldom; his mutton and potatoes might grow cold, his interest in a work never cooled. He invariably sallied forth, book in hand, reading to himself, if he was alone; if he had a companion reading aloud. He took a volume to bed with him, and read as long as his candle lasted; he then slept – impatiently, no doubt – until it was light, and he recommenced reading at the early dawn. . . . In consequence of this great watching, and of almost incessant reading, he would often fall asleep in the day-time – dropping off in a moment – like an infant. He often quietly transferred himself from his chair to the floor, and slept soundly on the carpet, and in the winter upon the rug, basking in the warmth like a cat; and like a cat his little round head was roasted before a blazing fire. Fellow readers, how conventional or extreme are your reading habits?